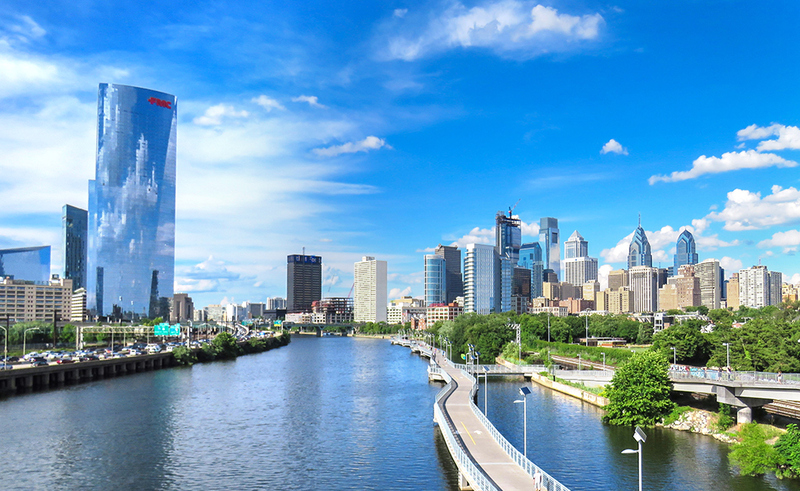 Brandywine Realty Trust, one of the largest, publicly traded, full-service, integrated real estate companies in the United States, turned to I-SITE to create a new Schuylkill Yards website to publicize their extensive and exciting developments on the west bank of the Schuylkill river in Philadelphia. This up and coming neighborhood is home to East Coast travel hub 30th Street Station and on the doorstep of the University of Pennsylvania. As a first step in the project, the team familiarized itself with Brandywine’s portfolio of current and planned buildings that offer over 6.9 million square feet of office, lab, residential, retail, hotel, and green space. 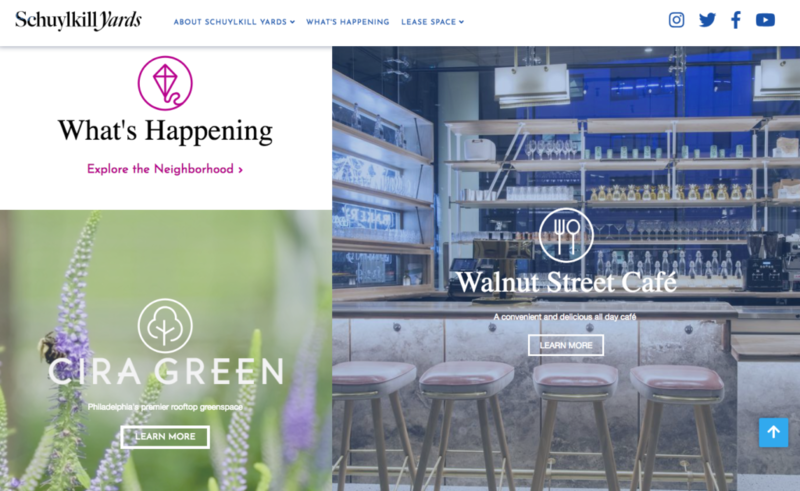 The goal for the redesign was to present Brandywine’s impressive property portfolio and neighborhood highlights such as the Cira Green rooftop greenspace. During the planning phase Brandywine and I-SITE determined that the navigation should be simplified and supported by a dynamic design focused on presenting the benefits of living and working in Schuylkill Yards. The I-SITE team was able to leverage a wealth of video and photography provided by Brandywine to help tell the Schuyllkill Yards story and create a clean and useable design. Drupal 8 was selected as the CMS based on the expandability, security and administration requirements. The site is hosted on I-SITE’s favored hosting platform Pantheon. Post-launch the I-SITE team will continue to support the website and work closely with the Brandywine team to add new content and features.